Don't expect to see a new Big Lebowski film any time soon. 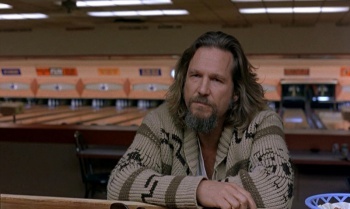 To date, The Big Lebowski is easily the most successful film created by Joel and Ethan Coen. Initially a cult classic, the film's following grew to such huge proportions that it's now best described as a legitimately classic film. It's infinitely quotable, smart, and features fantastic acting from a cast full of thespians whose collective Hollywood acclaim is simply massive. Despite all of this, we won't ever be lining up for tickets to The Big Lebowski 2. In a press conference at Cannes, the Coen Brothers shot down the idea of a sequel, saying that they simply don't make such films. "John Turturro, who wants it, talks to us incessantly about doing a sequel about his character Jesus," states Ethan Coen. "He even has the story worked out, which he's pitched to us a few times, but I can't really remember it." "No, I don't see it in our future," Coen adds. Joel Coen puts things in more concrete, succinct terms: "I don't think it's going to happen ... I just don't like sequels." On the one hand, it's sad that we won't see another Big Lebowski film. The characters of that movie and the world they inhabit is endlessly interesting, and almost any member of the cast could support his or her own spin-off. That said, I've gained a lot of respect for the Coens and their stance on sequels. Hollywood is so quick to churn out infinite follow-up movies whenever something proves a hit, so by taking a stand against that idea in favor of telling a story for that story's sake proves that the Coens are not really in it for the money, but are instead more interested in artistic fulfillment. That's refreshing, if for no other reason than it's exceedingly, depressingly rare.